Many thanks to all of our pupils and staff and their families who have donated items to this year’s shoebox appeal. 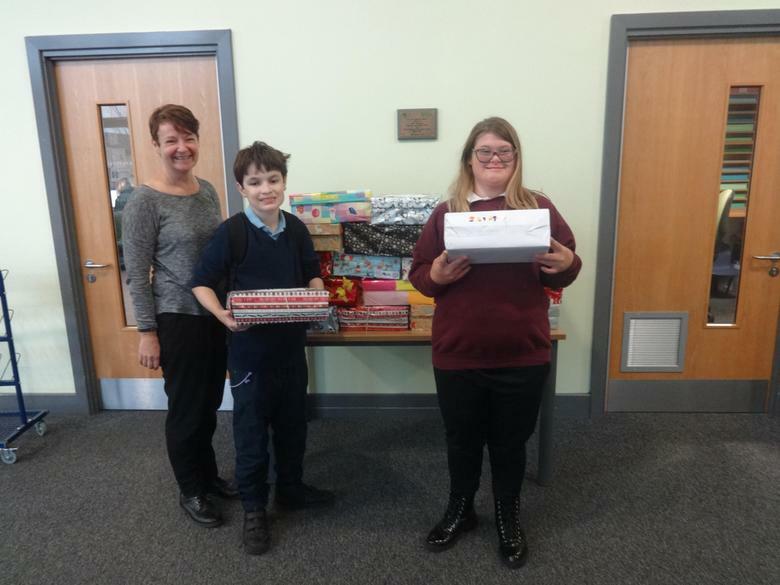 We are delighted to announce that we have sent off 20 shoeboxes on behalf of the school. The Family Shoeboxes of gifts are given to families who often have to make a choice between buying food or fuel at Christmas time – buying presents is just not a priority. Many of these families do not have running water, heating or electricity. Some live in appalling conditions, often living in just one or two rooms, and life for them is a real struggle to survive. Boxes are sent to Romania, Bulgaria, Moldova and Ukraine. Our chosen charity is small enough that they have a personal relationship with all the key contacts in Eastern Europe who distribute your Shoeboxes and they do spot checks to ensure that your boxes are received by the correct people. Thank you again for your donations.